Here at Farnham Common Nurseries, we have a wide variety of specimen stock from Bamboo, to Wisteria. We can advise you on different plants for any situation, to cover an unsightly wall, or to screen a difficult area, or to be used as focal interest or as an impact within the garden. For availability please contact us or even better, come along to the nursery, and view the plants themselves. 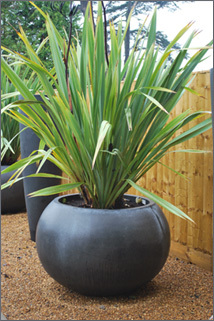 We offer a delivery within a 5 mile radius of the nursery which is free with any order over £100.